Campaign leader says that high compliance rate was achieved through “intimidation”. NEARLY 1.3 MILLION liable property owners paid the household charge according to new figures, but a leading campaigner against the tax says that the backlash against the charge could alter the political landscape in Ireland. The charge, which will be replaced from 1 July with the property tax, drew a wave of protests when it was first announced, but 79 per cent of people have paid it to date, with the cut off point 30 June. The Local Government Management Agency (LGMA) today thanked those who had paid the charge, saying that the money would fund “local services such as street lighting and cleaning, playgrounds, parks and playing pitches, public libraries and many other vital local services”. 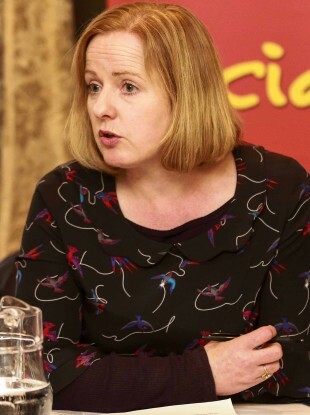 However, Socialist Party councillor and Campaign Against Home & Water Taxes spokesperson Ruth Coppinger says that it is not about numbers paying, it is about reasons for paying. “Ninety per cent of people have paid the property tax, but we feel that this has been achieved by intimidation on behalf of the Government, coupled with an air of resignation. Don’t forget, this is some of the most draconian legislation imaginable, with its snitch clause, deductions and severe penalties for non-payment. Coppinger warned that although people were paying the tax, some were ready to move their protests to a “political level”. “We will be looking at running candidates in a number of constituencies across the country to put pressure on Fine Gael and Labour to abolish this tax. “The campaign is the most prominent anti-austerity campaign in the country and has gotten people involved with political campaigning for the first time. Poll: Should protestors demonstrate outside politicians’ homes? Email “79 per cent paid Household Charge - but campaigners warn of a backlash”. Feedback on “79 per cent paid Household Charge - but campaigners warn of a backlash”.